The perfect solution, similar to a dedicated server but for a fraction of the cost. The best of two worlds (Dedicated and Shared) combined into one product for the best performance at the best costs. 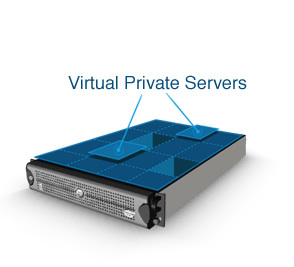 We present you the Virtual Private Server, a solution for most companies who take their information seriously. If you require stability, autonomy for your websites and emails with high security, the Virtual Private Server is the solution you are looking for. Our web hosting support is provided simultaneously in Dubai, Europe and USA to guarantee one of the best customer service experiences in Dubai in hosting services. Your web hosting or email hosting is safe in our Linux or Windows hosting servers located in any of Our Datacenters. If you don’t find a suitable package, please contact us and we will customise a dedicated server to fit your needs. VPS stands for Virtual Private Server and it is basically a part of a dedicated server virtually partitioned. A Private Server is totally isolated from other VPS on the same server, but they all share the same resources (i.e. CPU, RAM, HDD, etc.). However, each VPS can be allocated with more or less resources to guarantee it delivers what it promises. What is the difference between Private and Dedicated servers? A Dedicated Server is the top in terms of quality, privacy and reliability. It is your own server, dedicated for you and no one else. The Private Server is a virtual machine container inside a Dedicated Server. A Private Server shares the server’s hardware but it is independent from other Private Servers within the same server. We offer 24/7 support through our online client area platform. We offer managed dedicated servers, meaning that we take care of all maintenance and support related to the server’s hardware or software. We also offer support to any problem related to the server that you may be facing in the future at no extra charge. Once the payment has been confirmed by our billing department, the server will be activated within 24-48 hours.